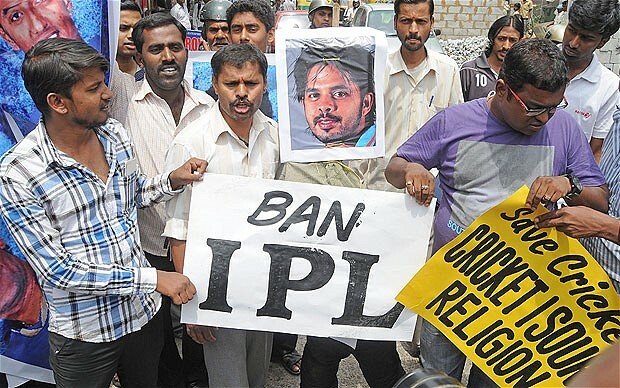 Home / Cricket / India / IPL / IPL: Fooling India since 2008? IPL: Fooling India since 2008? Britishers left India in 1947. While they took many riches, they shared one adorable thing with us; the game of cricket. Cricket is not only the sport that's most watched and played in India but also a sport that's been given the position of a religion. The deities of this religion are not same as that of other religions. These deities are in love with money. For the followers, it's a gentlemen's game but for the deities, it's a money-making factory. They keep thinking about new ways of making money through the game. Sometime before 2008, during one such thinking session, they were struck with a great idea. The idea that would make their whole community richer than they ever dreamt of. The idea was to build a gold mine. They called this gold mine, The Indian Premier League. IPL was founded in 2008 by BCCI. It is the most watched T20 league in the world. Eight teams play against each other. Indians loved the concept. It was a great entertainment for them. Watching their favorite players compete each other was a great delight. Some supported the teams that represent their city. Some supported the teams wherein their favorite players played. While others supported the team owned by their favorite celebrity. People's love of the game and the entertainment it provided made IPL a festival. With tag lines like 'manoranjan ka baap' and 'India ka tyohar', they made sure the whole nation celebrate this festival. Every time, people called it a festival, the governors of the game laughed from behind the screen. They believed the digging of gold will last forever. But then, it's against nature right? While digging gold, you will sometimes hit a rock. In 2011, a new franchise Kochi Tuskers Kerala was added to the IPL. This was the beginning of the fight between the wicked deities. Lalit Modi, one of the governors of the game, was allegedly disappointed about the ownership of this team. Allegedly, he wanted this team for someone else. So he accused one congress minister Shashi Tharoor of holding free equity in the new team. Shashi Tharoor had to resign and Lalit Modi accused of financial irregularities was suspended from BCCI. This was the first time when people realized that beyond the game on the field, there is another much larger game going on. The dark businesses of IPL have since been revealed one by one. No matter how much someone tries to hide the truth, truth always finds a way of revealing itself. In 2012, more dark secrets were revealed when news channel India TV did a sting operation and accused five players of spot-fixing. BCCI had to suspend these players. People realized that the players they loved were no different from the governors. People realized that the entire festival is fugazi. More was revealed the following year. Spot fixing and betting became a ubiquitous term. Many small and big players, team owners and appointees of BCCI were accused of one wrongdoing or other. Some found guilty and some not. Some players banned and some not. Some teams banned latest being the CSK and RR on July 13, 2015, and some not. I am not saying that everyone is guilty of wrongdoing or misconduct but many are. They banned two teams but is it sufficient to clean the mess? They banned two teams only to make way for two new teams. Old players will be replaced by new ones and the game will continue. It is not certain how much truth will surface in future. But it is certain that the IPL business is dark. It is certain that the IPL's entertainment is a masquerade, a disguise and it is certain that the game lovers have been fooled.